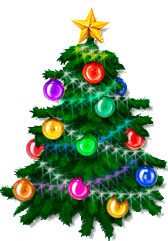 For those in the Christmas spirit, you can grab an animated Christmas tree for your Windows 7 desktop for free. The files are small, no spyware/adware. Just a nice desktop Christmas tree for your enjoyment. There are 19 different styles to choose from! Add a fresh touch to your desktop with Christmas tree. It can optionally stay on top and you can adjust transparency – a mouseover hint reveals how many days are left till Christmas.